The students had Bar Practicum for their final exam. They had to make a certain beverage commanded by the teacher. At first, they were asked to explain the ingredients of each beverage and the steps to make it. Next, each of them was spontaneously requested to make one of the beverages that they had been learnt for three months. They were Mojito, Piña colada, Chi-Chi, Cuba Libre, Daiquiri, Gimlet, Capirosca, Gin Sling and Screwdriver. 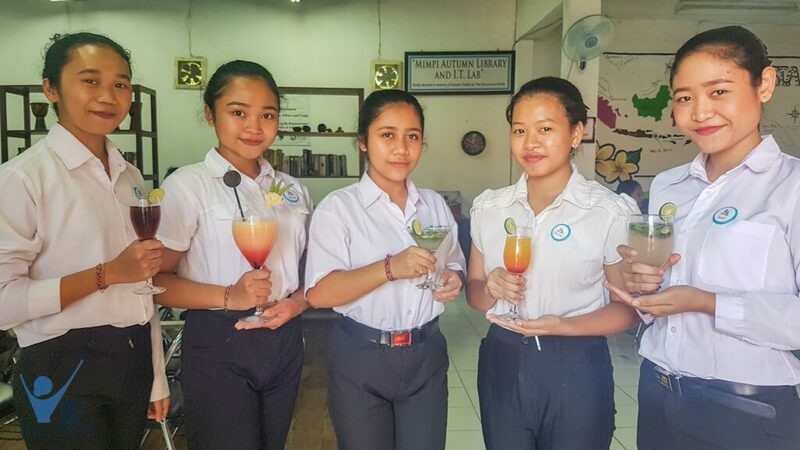 The students were given 3 minutes to prepare and mix the beverage based on the ingredients. 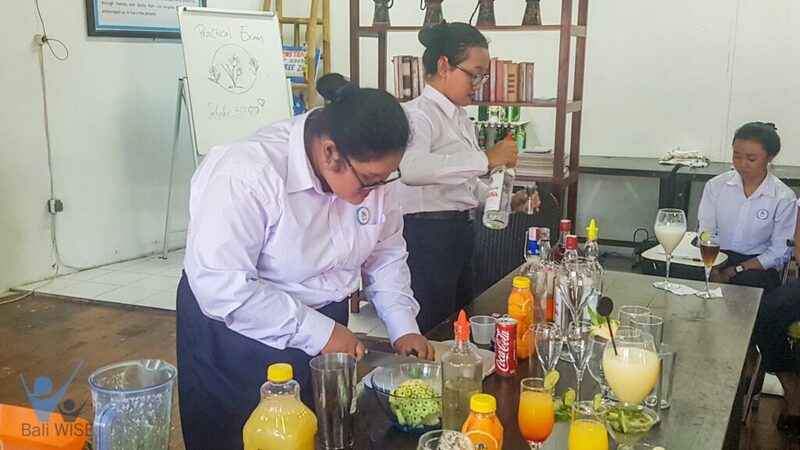 The exam tested their pace, accuracy and method in making and mixing the drinks. The students had the good moment in the practicum as it rehearsed their performance in preparing and serving. 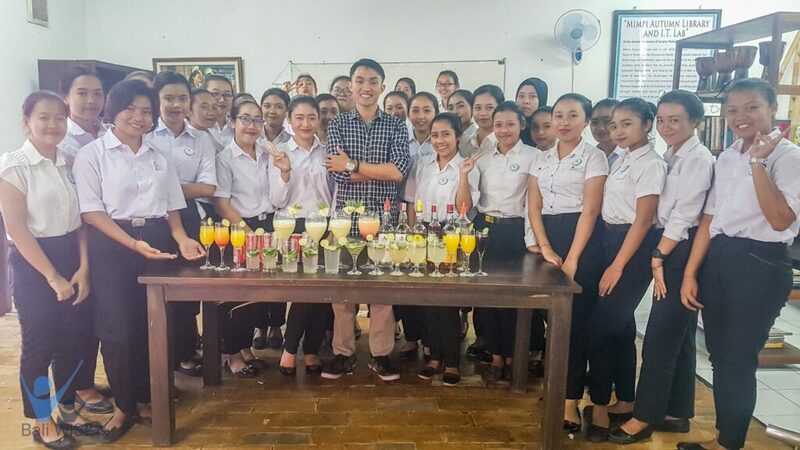 Besides, it will help them to prepare themselves for the training, especially who will take the Food & Beverage Service department as their focus career.